A textile exuding pipe ecological irrigation system. 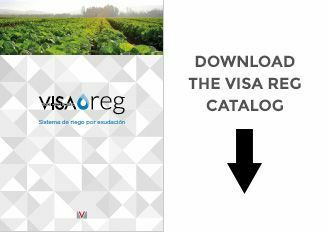 VISA REG is a revolutionary exuding irrigation system formed by a technical textile hose which produces a continuous and uniform controlled flow of water throughout its length and surface. A product made with top quality materials, meeting the highest safety standards. Its 100% porous composition allows natural low pressure gravity fed irrigation or the use of pressure irrigation installations. VISA REG gives a stable flow, regardless of the working conditions. VISA REG is unaffected by temperature changes and other bad weather conditions, which cause no variation in the irrigation line. Thanks to its flexible structure and its pores it is not blocked by lime, is able to work on the surface or underground and constantly and stably oxygenates the soil. 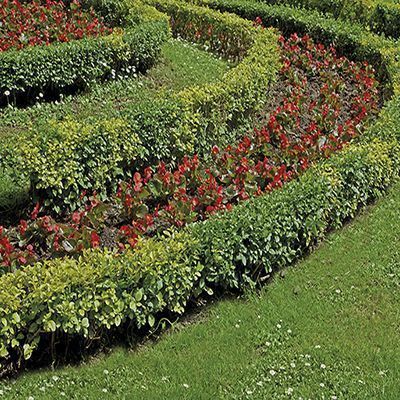 – Maximum irrigation efficiency, saving water and energy. – Made in non-toxic materials. – Allows 100 m lines to be installed and fed from just one end. – Or 200 m lines fed from both ends of the VISA REG hose. – Maximum working slope of 2% to 3% of the irrigation lines. – On steep land, the pressure may need to be adjusted for even irrigation. – Also suitable for use in pressure installations. – Recommended working pressure 0.4 to 1 bar. – Permanent, controlled and uniform moisture. – Can be installed on the surface, covered or underground. – For non-drinking waters, 130 to 150 micron (120 to 100 mesh) filters recommended. 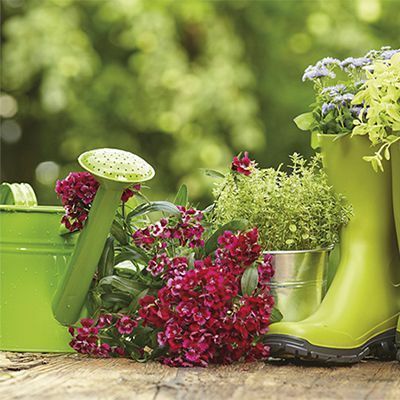 -Allows water-soluble fertilisers and plant care products to be supplied through the irrigation installation. – Its flexibility avoids the danger of lime blockage. – Made in materials resistant to abrasion, UV rays and the weather. – Resistant to traction breakage up to 150 kg. – 15 bar maximum bursting pressure. 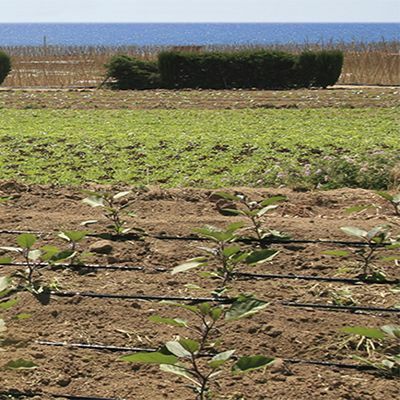 – Unaffected by changes in temperature, no variation in the irrigation line. – Weather-resistant, unalterable in length and uniformity. – Wind does not affect water distribution. – Technical textile system made in Europe. – 5-year guarantee on operation. – Adaptable and compatible with any existing installation. – Standard interior diameter of approximately 16 mm. – Compatible with all 16 mm market accessories.